Hiya Divas! 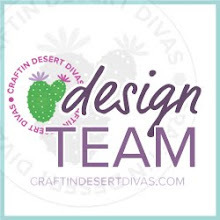 Mercedes here on the Craftin Desert Divas Blog to talk a little about how to cut SVGs. But first... What are SVGs? SVGs or Scalable Vector Graphics are an XML-based vector image format for two-dimensional graphics with support for interactivity. When it comes to crafting, this interactivity means it is turned into a cut file for use with machines like the Cricut Explore, which is what I own. My understanding is that SVGs can be used with other machines such as the Silhouette. For today’s post, I will focus on cutting with the Cricut. Now onto the project. I am going to use Tis The Season SVG Treat Bag Add Ons. While these files were meant as an add on to the Treat Bag Dies, it doesn't mean you can't use them for other purposes. I’ve gotten to play with both the Birthday Critters SVGs and Hippity Hoppity SVGs and can say without a doubt that they also work well for cards and tags! Once you’ve downloaded and unzipped your file you will want to open Cricut Design Space. I started a new projected and clicked on the upload icon to the left of my canvas. This will take you to the next screen where you can upload your image or file. And this takes you to yet another page where you can browse your computer or tablet for the file you will be uploading. 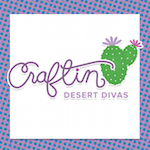 The SVGs from Craftin Desert Divas all come in one easy to upload file. So all of the Tis The Season characters are in one file which is uploaded to your device. I opted to only cut out the Reindeer. Once I had the SVG in place on the computer screen, I added some Canson Cold Press Watercolor Paper onto my Cricut mat. I chose watercolor paper, because my plan was to use Distress Oxide Inks to color the pieces. This saved me from having to load several different colors of cardstock on to my mat. Once I was set to go, I got busy cutting. Once my images were cut I pulled out my Distress Oxide Inks and got to coloring my paper. I chose Ripe Persimmon and Candied Apple for my reindeer’s nose. I used Vintage Photo for the reindeer’s body, Ground Espresso for his antlers, and Black Soot for his eyes and mouth. I glued my images together with Ranger Matte Multi Medium. I accented the reindeer with a white gel pen. I made a 4" side folding note card and added some patterned paper before adding the reindeer with some 3M foam tape. Now it's your turn, go forth and make some adorable creations with SVGs. Thanks for stopping by. Until next time, keep on crafting!